I rubbed a slice of lemon along the grout and then scrubbed at it with a green Scotch-Brite pad. It started looking cleaner right away. Then I rinsed it away using a wet paper towel. The only annoying part with this method is cleaning up the pulp. Once it dried, it looked significantly better. I mixed a small batch of Oxiclean in a plastic cup, using a 1-to-1 ratio to create a watery paste. I used an old spoon to scoop the mixture onto the grout. Make sure to stir it often, or the Oxiclean will separate from the water and harden on the bottom. I let it sit on the grout for 5-10 minutes and then scrubbed at it with a Scotch-Brite pad. This method worked very well, but the Oxiclean does leave a white residue on your floor so make sure to rinse it with water right way and mop everything thoroughly afterward. Get enough to clean all your tile for $12.48 on Amazon. I mixed the sulfamic acid (buy it here for $4.48) cleaner with warm water, according to the directions on the container. I spooned it out onto the grout, and it immediately began to fizz and bubble up. This is clearly strong stuff. Right away, I scrubbed at it with a Scotch-Brite pad and the grout looked darker. I panicked a little but rationalized that it must have been because it was still wet. 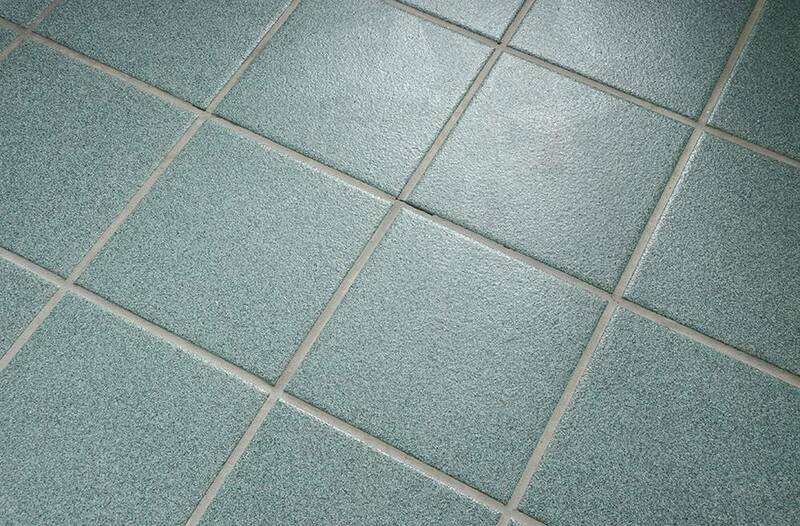 Whatever the scientific reason was, it did eventually become lighter and cleaner-looking than the original grout. I rinsed the area thoroughly. Here are the results of the three methods. The grout in front of the lemon slice is the area that I cleaned with lemon juice, the middle one is Oxiclean, and the one on the right is sulfamic acid cleaner. The verdict: they all worked to some extent, but Oxiclean worked the best. Lemon juice was a very close second, and would be a great option if you're trying to stay organic. Quite a difference! See the whole bathroom below. As I noted before, our grout is a gray color so it will never look bright white - but it is certainly less stained and grimy than before. 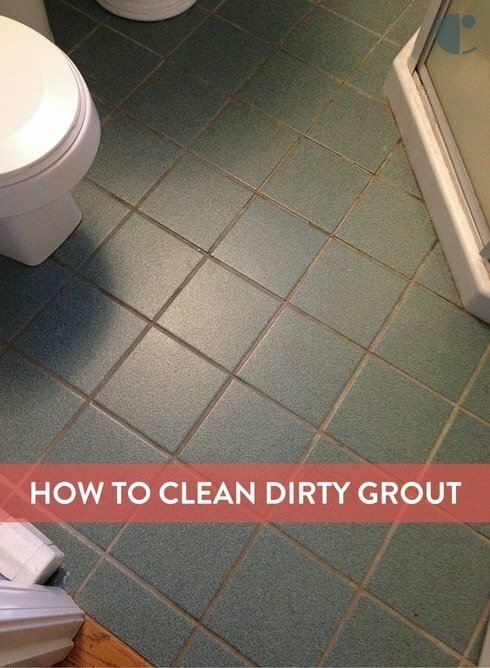 I hope this was helpful, good luck cleaning your dirty grout! Feel free to share other methods that you've tried in the comments section below. Amazing! We just rent what was supposed to be a "Luxury apartment". I was shocked when I saw all the tiles had grout so dirty that I was at a loss as to what to do. Your experiment showed me and now my tiles and grout look astonishing. Thanks for the head's up on this one! Thanks for the info. I just bought a house that has the dirtiest kitchen floor I have ever seen. I was going to replace it but have decided to try to save it and just clean, clean,clean! I'd rather spend the money on quartz counters..lol. Your post has encouraged me to use the Oxiclean method and save my tile from the dump. THANK YOU FOR TRYING THIS OUT AND EXPERIMENTING WITH THESE 3 PRODUCTS. I VE TRIED EVERYTHING BUT OXI CLEAN AND THE ACID WHICH I WOULD NOT TRY. I WILL GIVE IT AND TRY AND REALLY APPRECIATED THE PICTURES. I agree with Ray: after using a cleaner--even a vinegar spitz--it would be best to re-apply sealer.